2016 marked the 70th anniversary of the first Italian migrants’ arrival to work in Limburg’s coal mines. 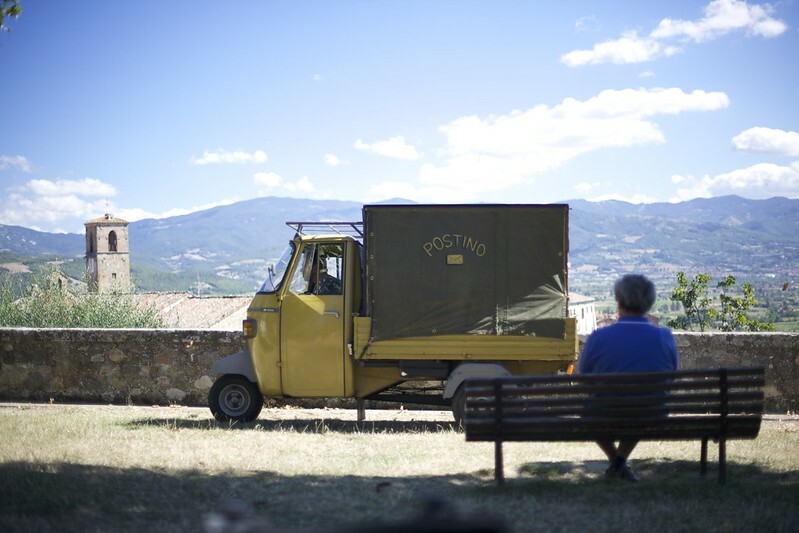 On the occasion of this anniversary, the Ief Postino project aimed to, once again, strengthen the connections between the Italian Limburgers and the Limburger Italians. Moreover, the project provided an opportunity to introduce Limburg’s industrial past, the mining culture, and recent developments in the mining region to the general public. Following his journey, Ief Postino returned to a big street party at which Italians, Limburgers, Limburger-Italians and Italian-Limburgers all came together and this is where the Belgian and Italian letter writers and their recipients could meet up with one another and their families. The project was filmed and broadcast on public television in the autumn of 2016 with 2 episodes being shown every week during the programme Iedereen Beroemd with an estimated 1,000,000 viewers for each episode. Supplementary stories were made available in parallel via the Ief Postino Facebook page and weekly newspaper articles were published in the newspaper Het Belang van Limburg, reaching 105,000 readers each day. A film, a book and an interactive theatre performance, often performed at schools and social-cultural organisations, has followed the initial project. The jury commended Ief Postino as “a well judged small-scale project which enhances understanding of intangible aspects of community diaspora in a time of economic change in Europe. Through personal stories and traditional methods of communication, the project has maintained historical community links between two disparate areas of the continent”.